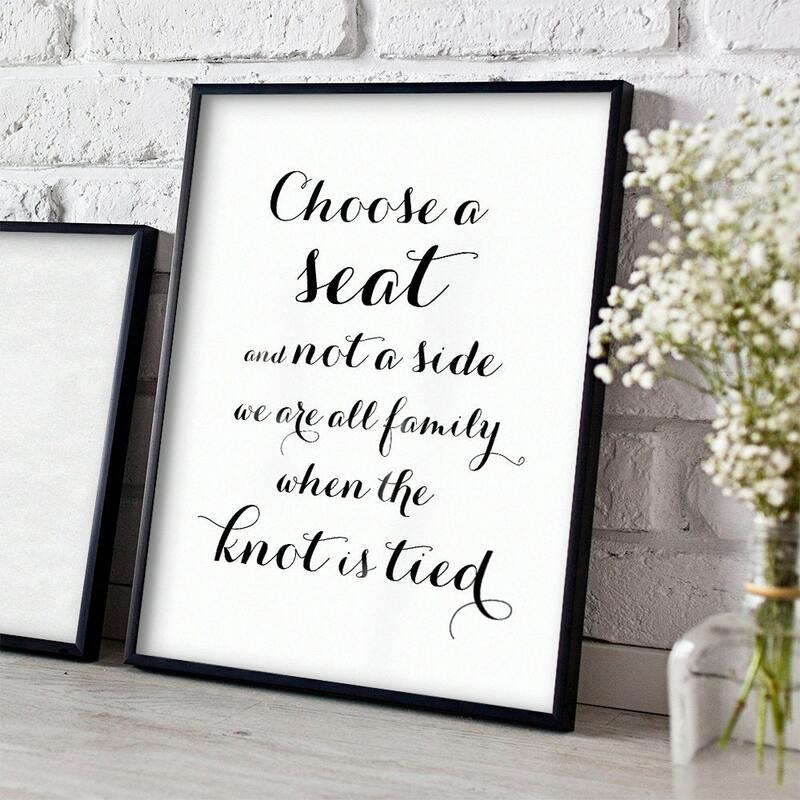 Choose a seat not a side wedding sign | We are all family when the knot is tied. 8x10 instantly download and print! 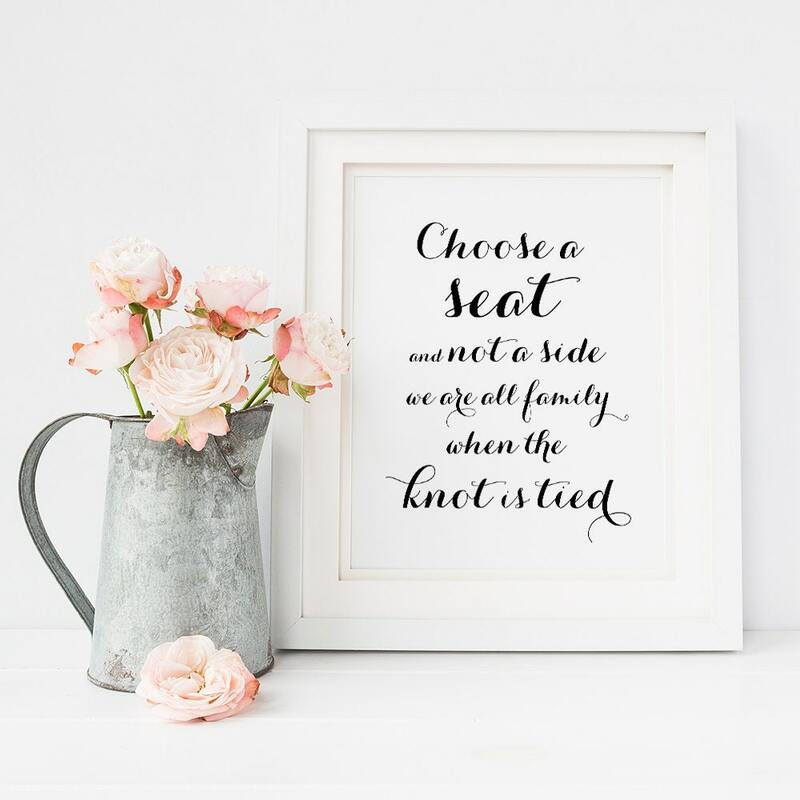 Printable Choose a seat not a side wedding sign. Choose a seat not a side, we are all family when the knot is tied.